Skunk No. 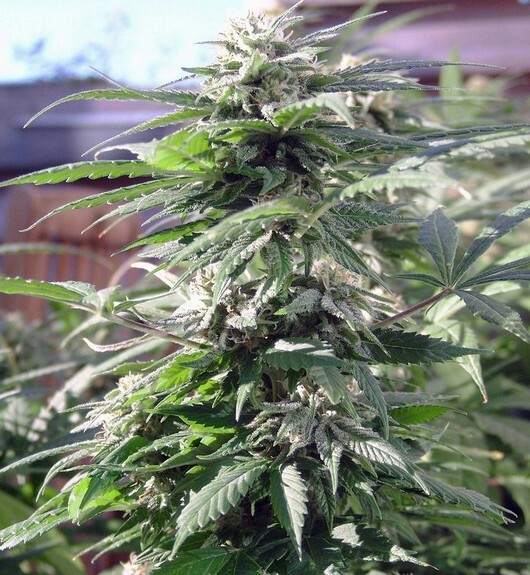 1 was the first true stabilized hybrid to enter the Dutch Cannabis greenhouses. Sacred Seeds created it in the late 1970s from Afghani Indica, "Acapulco Gold" Mexican Sativa and Columbian Gold Sativa. For the first time this strain provided growers with the good taste and high of a sativa coupled with the quick heavy flowering of an indica. Having been successfully stabilized, Skunk No. 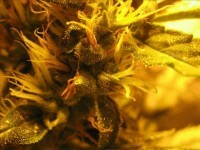 1 has been widely used as a breeding parent for most of today’s leading "skunk" and many other strains. It is very easy to grow and has always been seen as a standard against which others can be measured. 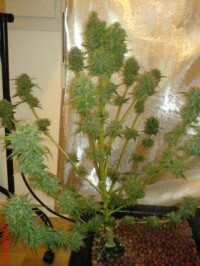 It produces dense buds varying in colour from light green to golden with a very high yield. 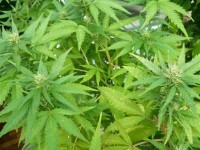 It is easy to manicure due to its high bud-to-leaf ratio. It has a sweet smell and taste with a cerebral high.